Alumex International has on offer a great variety of Gate Latches. This products are extremely durable in their construct and come engineered to perfection for a quality working life. We offer a great number of dimensional advantages on this products. We are a remarkable entity in this domain, engaged in offering a qualitative assortment of Square Brass Baby Latch. •Usage: Widely used for locking cupboards, doors, windows, etc. 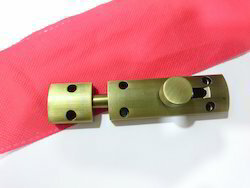 We are noteworthy organization in this domain, engaged in manufacturing a wide array of Brass Latch. We take pleasure to introduce ourselves as one of the renowned organizations for manufacturing best-in-class range of Door Baby Latch. 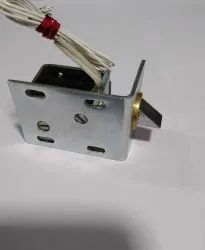 Being a leader in this industry, we are devoted towards providing a premium quality array of Brass Square Latch. latches are available in a wide range of designs for use with retrievable gas lift and circulation valves to be installed in side pocket mandrels. These latches are-designed to be installed with a minimum of force, a feature very important in deviated wells where forceful downward jarring may be difficult.